LUCKY WINNER, WINNING NOTIFICATION / FINAL 2007!! This is to inform you of the release of the E-MAIL LOTTERY BALLOT INTERNATIONAL/WORLD GAMING BOARD.Your name attached to ticket number: 56475600545 188 with Serial number 5368/02 drew the lucky numbers of 21-70-81-82-99,which consequently won the lottery in the 1st category. You have therefore been approved for a lump sum payment of 691,252.00 Pounds sterlings (Six Hundred and ninety one thousand, two hundred and fifty two Pounds sterlings)only, which is deposited with the United Kingdom Clearing house in your favor as beneficiary and covered with HIGH INSURANCE POLICY. 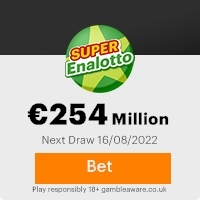 It is important that you keep your winning confidential to avoid people garnering your information and subsequently making claim with your winning paraphernalia informational, BRITISH LOTTERY EURO E-MAIL INTERNATIONAL will decline payment if such irregularity occurs. their immediate families are not eligible. This Email with the Subject "E-MAIL NOTIFICATION!!! (Ref: UK/9420X2/68)" was received in one of Scamdex's honeypot email accounts on Sun, 22 Jul 2007 21:36:15 -0700 and has been classified as a Generic Scam Email. The sender shows as Fwd_Notice@nc.rr.com, although that address was probably spoofed. We recommend that you do not attempt to contact any persons or organizations referenced in this email, as you may expose yourself to scammers and, at the very least, you will be added to their email address lists for spam purposes.